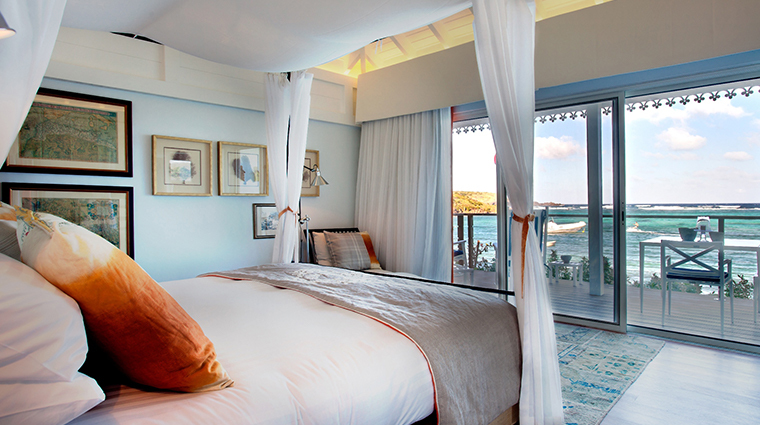 Editor's note: Le Guanahani is closed for post-hurricane renovations and will reopen in November 2019. 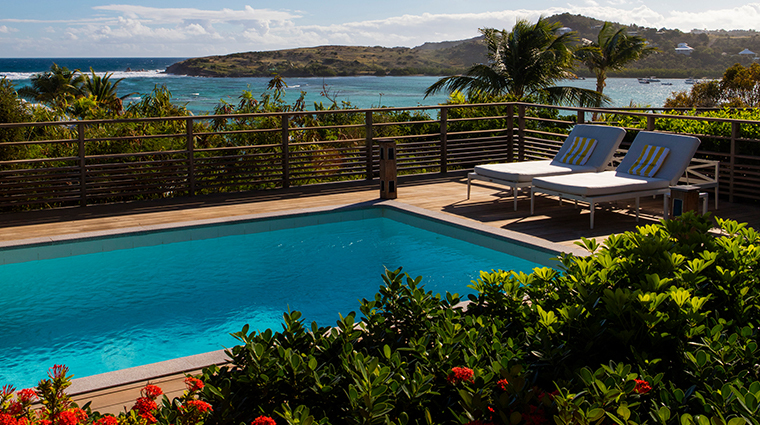 Even by St. Barts’ notoriously extravagant standards, Le Guanahani is the epitome of Caribbean luxury. 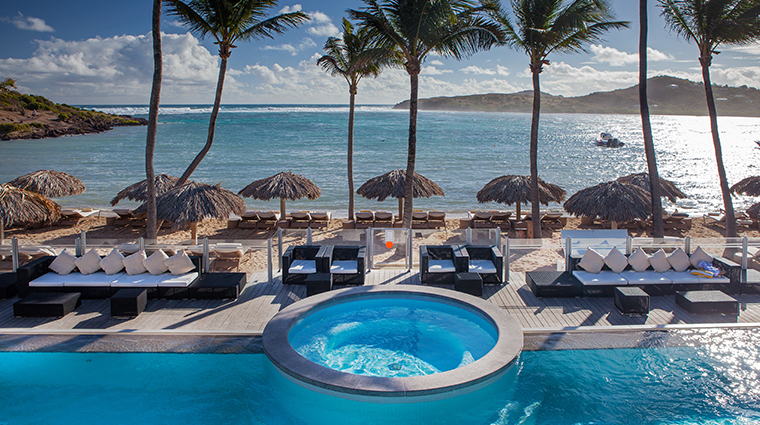 The vibe at Le Guanahani echoes that of St. Barts — a casual elegance with a friendly French West Indies joie de vivre. 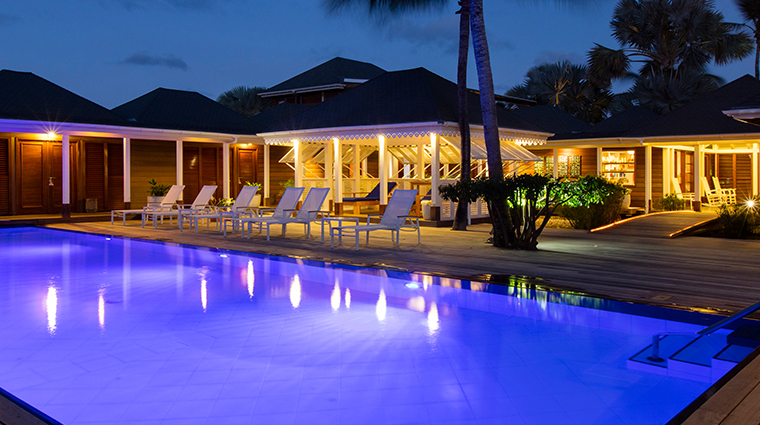 The hillside oceanfront resort is dotted with 67 vibrantly hued guest cottages nestled among a tropical landscape of hibiscus and coconut trees. The interiors have a decidedly residential feel with a modern colonial look. 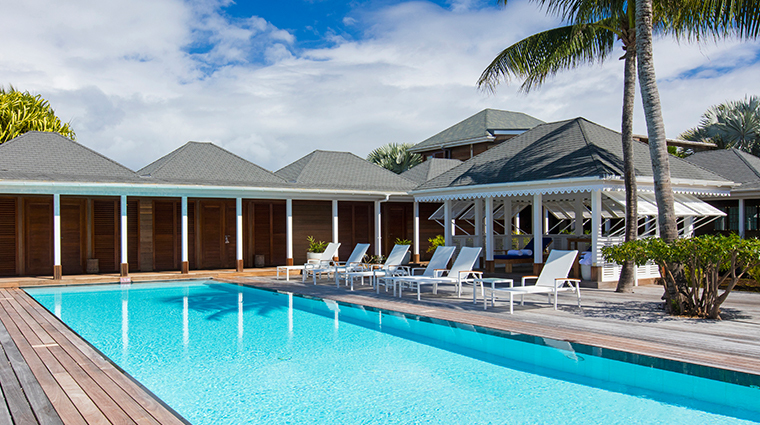 Located on a private 18-acre peninsula, the upscale property is awash with posh touches (private guest room pools, a Frédéric Fekkai salon) and is considered the only full-service resort on an island filled with boutique hotels. It’s also within a 10-minute drive of the island’s remarkable shopping, dining and nightlife, but removed enough to feel intimate and exclusive. And with two restaurants, a beach bar, spa and an impressive list of activities, you likely will find yourself content to stay on hotel grounds. 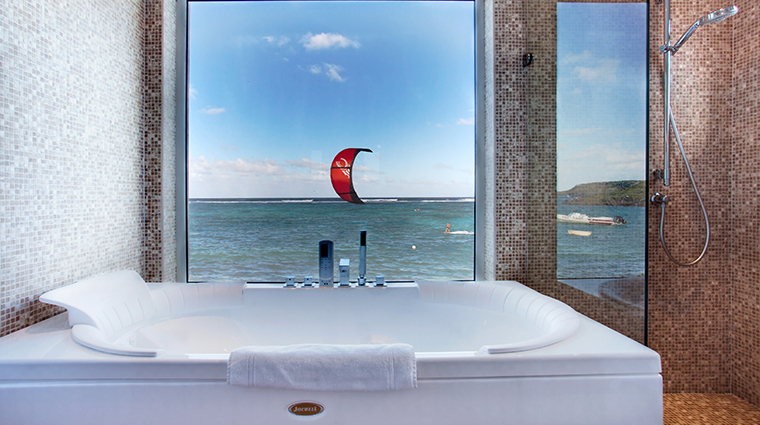 The Forbes Travel Guide Four-Star hotel delivers the utmost privacy. 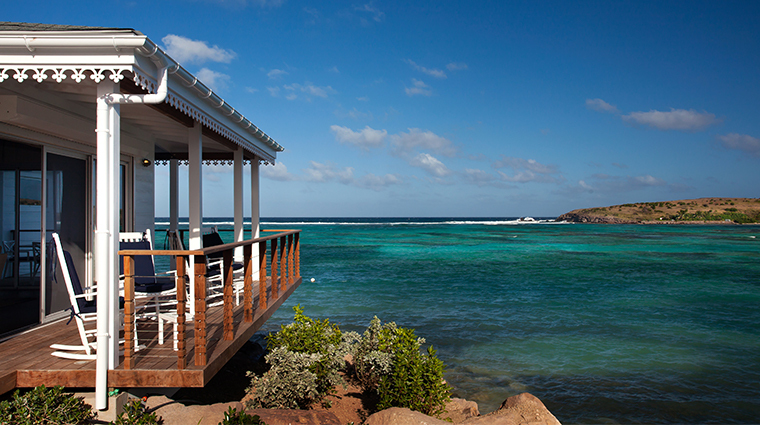 Sitting on its own peninsula, the 16-acre Le Guanahani is intimate and secluded. The lush grounds are gorgeous. The hotel’s cottages and other buildings are ensconced in exotic gardens. 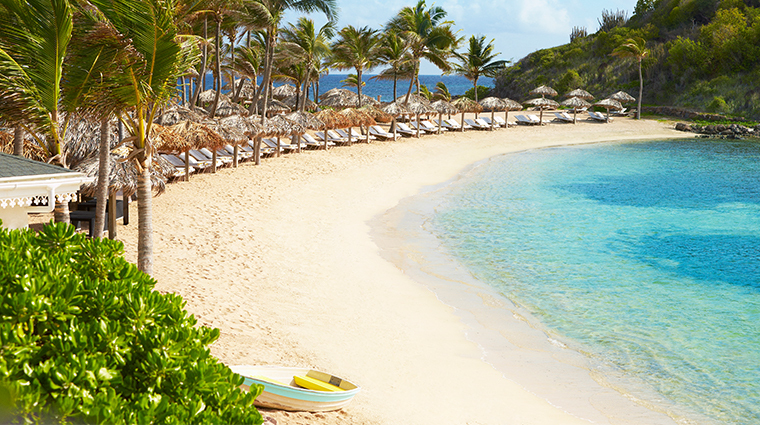 Traverse the hilly terrain and make your way to the crystalline waters of the white-sand beach. 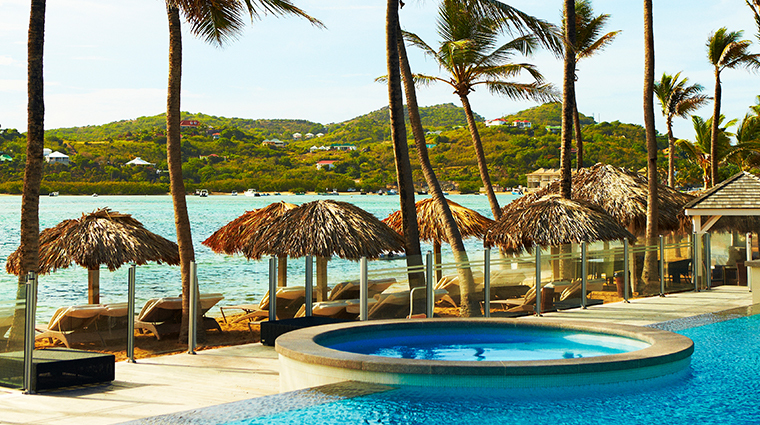 Not only do the Signature Suites give us the amenities we dream of — our own pool, ocean views — they come with personalized perks, including an airport welcome and hotel transfers, a 30-minute hydrojet or balneo service at the spa, a customized itinerary from the concierge, unpacking help and ironing. An impressive indoor/outdoor Clarins spa has a long list of treatments plus not-to-miss amenities like outdoor showers, an adults-only pool and a tea pavilion. Enjoy the great outdoors. Guide yourself in the calm reef-protected lagoon on a (complimentary) stand-up paddleboard or kayak, go swimming or hike the paths at the luxury hotel. Daredevils can kite surf, scuba dive or take a submarine tour or ATV ride. 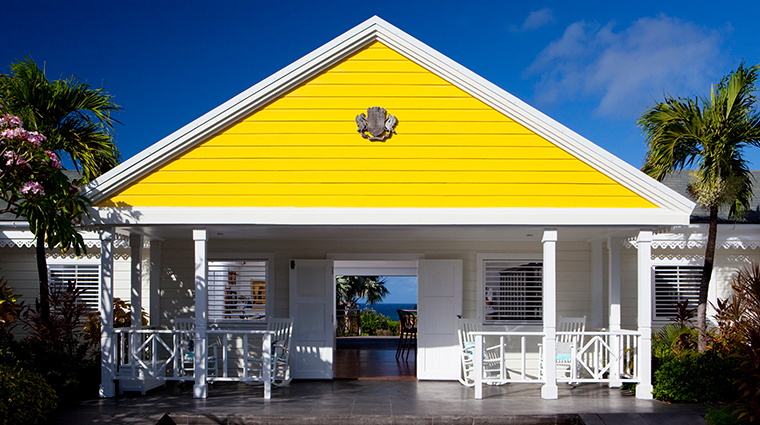 If you plan to explore the island, you will need a taxi or car (there’s a convenient onsite car rental agency). 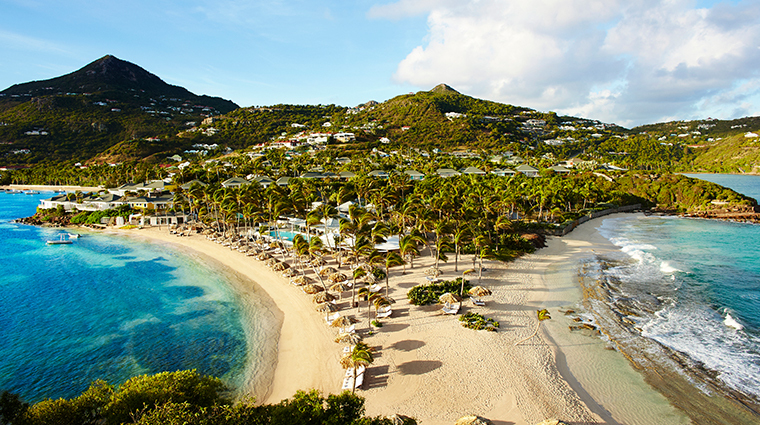 The St. Barts hotel is a bit removed from the touristy areas. This is a family friendly hotel. It offers a complimentary kid’s programs for ages two to 12. 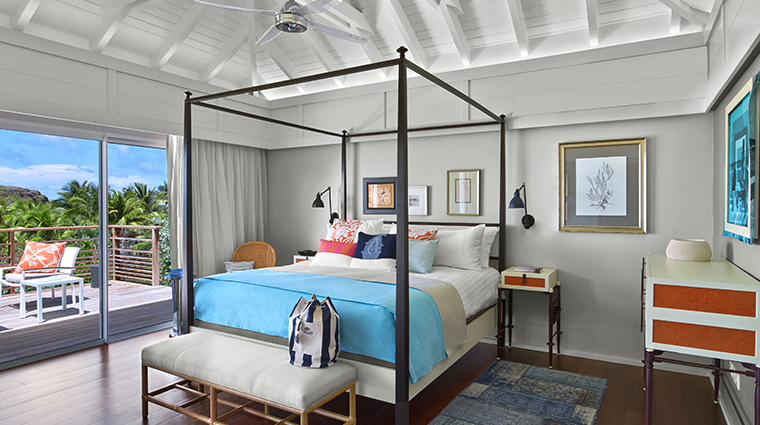 Each airy guest room features pieces from the Le Guanahani custom furniture collection, inspired by luggage chests used by explorers on their journeys through the colonies. Accommodations have pops of bright colors or serene pastels set against dark hardwood floors, white walls, wicker and cotton fabrics. 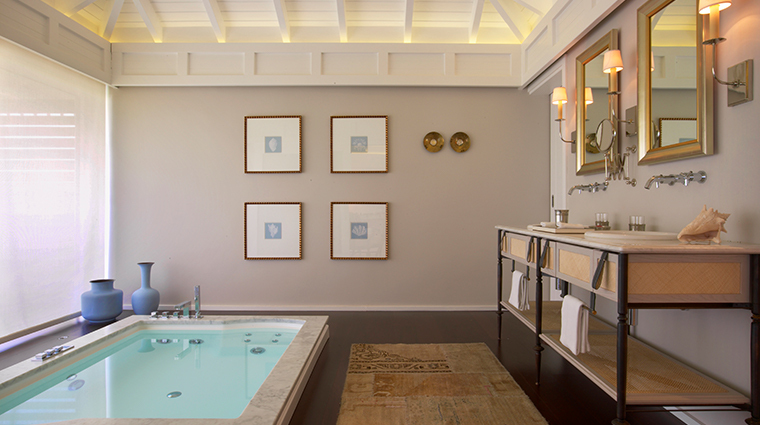 Every cottage has a terrace and bathroom stocked with products from Clarins, a high-end French skincare brand. 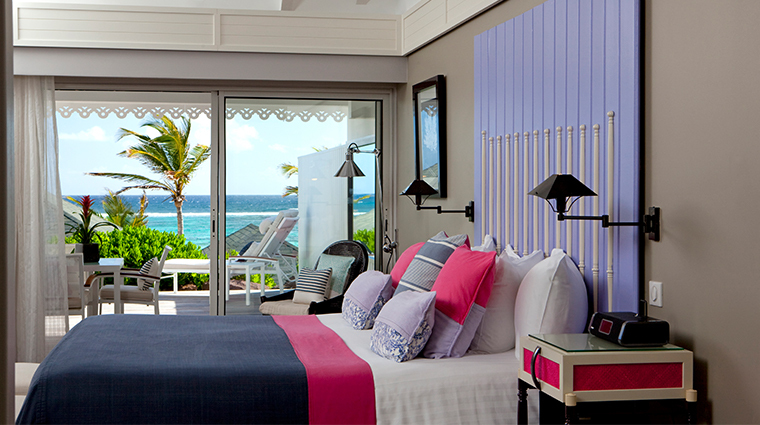 The 27 Junior and One Bedroom suites are oases. The spacious accommodations all have lofted ceilings and living rooms. Many come with private pools. 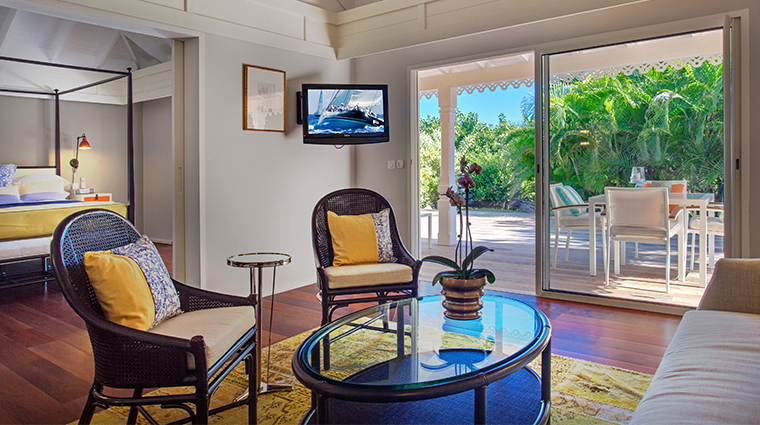 For the top-tier luxury, reserve one of the 10 Signature Suites. 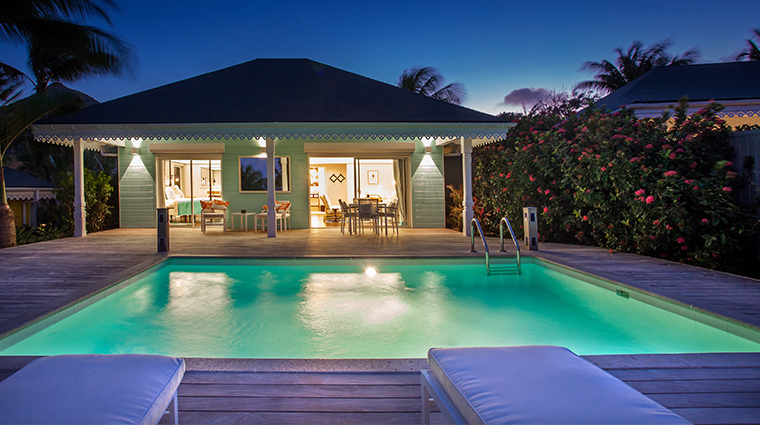 They boast two or three bedrooms, garden or ocean vistas, a living room, a terrace, a garden and a pool or Jacuzzi. Executive chef Nicola Di Marchi's Italian influence can be seen and tasted at the resort’s two buzzy restaurants, Indigo and Bartolomeo. Plates at both are inspired by delights of the island, including mahi mahi and wahou, and have classic French twists and flavorings. 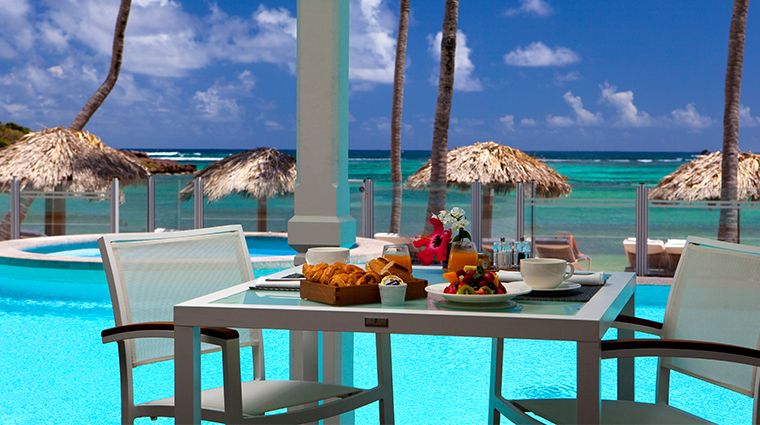 Indigo is more casual, located poolside with lovely views of the beach. Go for the juicy burgers, a crowd favorite, or the tender roasted sweet and sour octopus. It hosts a pop-up mojito bar Thursdays to Sundays. Chic and romantic Bartolomeo comes to life during dinner, with indoor and candlelit alfresco dining options amid its gardens. 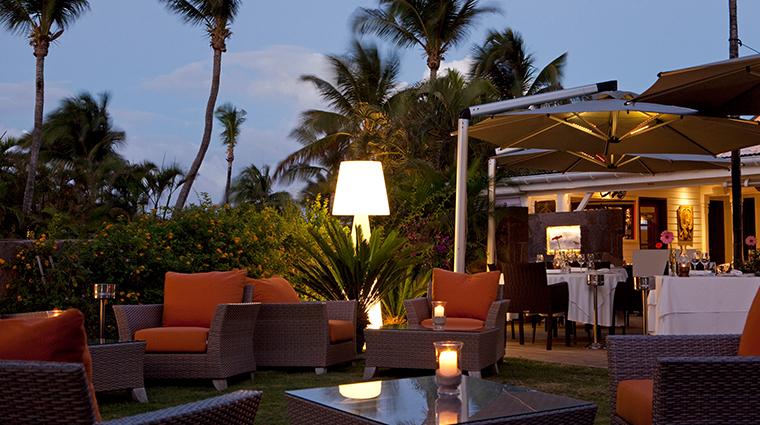 The fine-dining restaurant changes its menu daily to make use of the freshest ingredients. 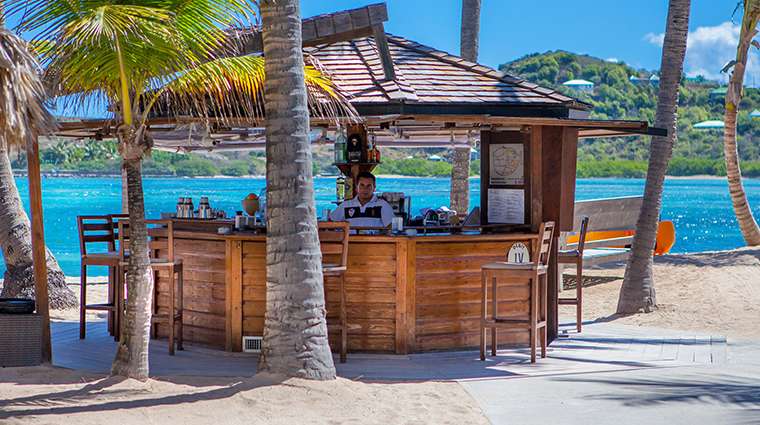 The staff delivers handcrafted cocktails (like the Spicy Coco Bongo with Appleton 12-year rum, lime juice, coconut water, ginger, local hot pepper, lemon soda and Jamaican bitters) to your hammock, or sidle up to the palapa-topped Beach Bar. 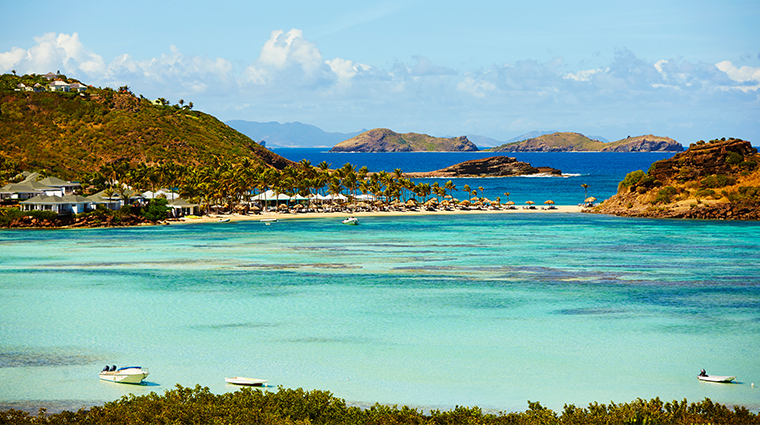 For a truly St. Barts experience, the concierge can book a deep-sea fishing excursion where you’ll spend the morning at sea with a seventh-generation local fisherman and return to the resort with fresh catches, which can then be prepared either as part of a three-course lunch or five-course dinner.